Green Satin Cut Out Christmas Designs Satin Ribbon 50mm wide. 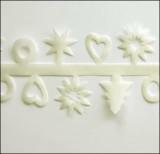 Ivory Satin Cut Out Christmas Designs Satin Ribbon 50mm wide. Silver Satin Cut Out Christmas Designs Satin Ribbon 50mm wide. 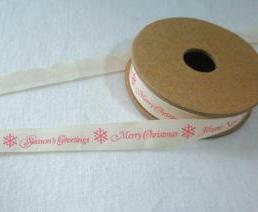 Gold Satin Cut Out Christmas Designs Satin Ribbon 50mm wide. 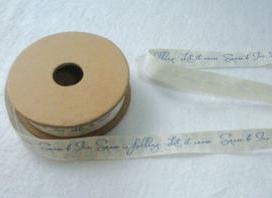 Green Sheer Ribbon with Glittering Merry Christmas .15mm wide. Price per metre.